Nicole “Niki” Shannon Reichard, 44, of Mifflinburg passed away unexpectedly at 9:55 pm on Saturday, June 23, 2018 at Evangelical Community Hospital. She was born on September 1, 1973 in Lewisburg, the daughter William E. and Sharon L. (Walter) Reichard of Mifflinburg. Niki was a graduate of Mifflinburg High School Class of 1991. 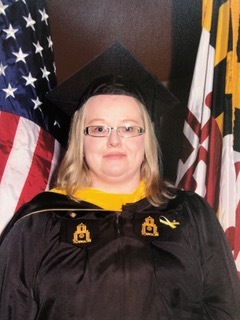 Following high school she earned her BA in Homeland Security form Towson University, Baltimore, MD. Niki enjoyed watching her nephew and niece, CJ and Terri in Mt. Carmel football, and Lourdes H.S. Basketball. She liked to watch Penn State football and was very tech savy and enjoyed all modern tech gadgets. Surviving in addition to her parents are one brother and sister-in-law, Craig William and Tina Reichard of West Cameron, and beloved nephew and niece, CJ and Terri. She was preceded in death by beloved maternal grandparents, Marvin K. Walter, Sr and Cletus Harriet Walter, and beloved paternal grandparents, Frank Reichard Sr. and Kathryn Shannon Reichard. Family and friends are invited to the visitation from 1 to 2 PM on Thursday at Adamo’s, 16 Walnut Street Mifflinburg, where the memorial service will be held at 2, with Pastor Gary Owens, officiating. 2805 Reach Road, Williamsport, PA 17701.